As the country edges closer to the next Tripartite Elections in 2019, Malawi political parties represented in Parliament – except the governing Democratic Progressive Party (DPP) – have expressed support to the proposed amendment of the system of electing the President from the current First-Past-the-Post to the 50-plus-one system. The 50-plus-one system means that a winning candidate should amass more than 50 percent of the votes to be crowned president. Currently, Malawi uses the First-Past-the-Post (FPTP) electoral system. This allows whoever gets more votes than other candidates to be crowned president irrespective of whether the margin is minimal or large. The Malawi Law Commission endorsed the proposed electoral reforms including the 50-plus-one system which is also called the Majoritarian electoral system in Political Science that allows the incumbent president to have legitimacy from the voters as most people will see the power of their votes being manifested in the man or woman they eventually send to State House. Malawi Congress Party (MCP), Peoples Party (PP) and Alliance for Democracy have signalled that they will back a Bill on the proposed electoral reforms to enact the 50-plus-one presidential winning threshold in the new Constitution so that in future, Malawians should be governed by a president elected by a majority of voters. 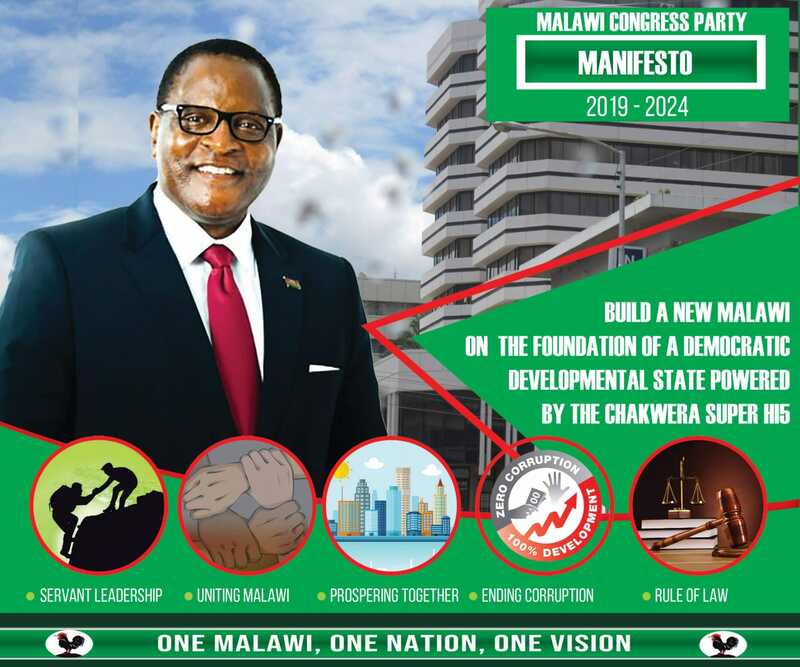 “The opposition parties are pulling in one direction to support the electoral reforms,” Leader of Opposition and MCP president Lazarous Chakwera said in an interview with Nyasa Times. PP leader in the House, Uladi Mussa said Malawians would not want to be ruled by a minority president again. President Peter Mutharika won with only 36 percent of the vote. “We will support the Bill to ensure the 50-plus-one presidential winning threshold is refleccted in the new Constitution,” said Mussa. “Zambia implemented it and we all saw how it worked well. It is time we adopt the same,” he said. Aford president Enoch Chihana said proposed electoral reforms by the Malawi Law Commission are “important for sustaining democracy” and one hardly needs to waste time justifying them. United Democratic Front (UDF) which has a working relationship with DPP is also backing the electoral reforms, according to party spokesman Ken Ndanga, who said UDF will support the reforms. But DPP director of elections Kondwani Nankhumwa , who is also Leader of the House, said the party has not made its stand on the matter. Aparrently, the DPP is not too sure if come 2019 they will have the support of the voters to sail through without a re-run. Other proposed electoral reforms are that the swearing-in of the President-elect and Vice-President should be done 30 days after voting. The aim is to give aggrieved parties a chance to file their complaints to the courts of law and be heard. Another proposed electoral reform is that the presidential candidates and their running mates should have a minimum of a first degree or its equivalent from a recognised or accredited university. Hhahahaha who are these self exiled northernres? where are they exiled, in diaspora? can they come to vote? Suffice it to say that the 50-plus-one system will be beneficial to our democracy, without referring to systems followed by the USA. The US system is so complicated that I even doubt if all of their candidates understand it completely. Do you know that there is some animal there called “The Electoral College”? How many people in Malawi understand that? Let’s just say we support the 50-plus-one system in its simplistic form. No need for complications which will only become obstacles to us come election time. We also need to have results counted and displayed at the polling station. This issu of collecting ballot papers and count them somewhere is what fuels rigging. 50+1 is nothing unless we ensure that people are aware of the winner soon after voting. Please Bwana Chankwera check this…!!!! The behaviour of DPP leaves a lot to be desired. They think Malawi belongs toMuthalika forgetting that this man no matter what has got less than 90% of his life remaining. They want to continue with stealing. Everything has a lifetime. We have to leave this country in safe hands. We have small children. We have unborn children. People are still making babies day and night. Please think about this you dpp idiots.